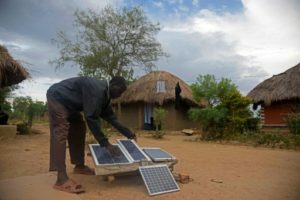 In Guinea, the World Bank and the French Development Agency (AFD) will support electrification projects in the capital city Conakry, and develop off grid in more remote areas. The World Bank and AFD have lent $50 million and $56 million respectively to the West African nation to rehabilitate and extend the electricity transmission network. The MoU was signed on Tuesday in Conakry, between Mamadi Camara, the Guinean Minister of Economy and Finance, and representatives of the World Bank and AFD. According to the agreement, the first phase of the project will be the rehabilitation and extension of the electricity grid in Conakry and surrounding cities, including Coyah, Dubréka, Manéah, Forécariah and Kindia. The two entities have earlier supported the country with financing of $25 million for the energy sector recovery plan and $75 million in support of the Guinea-Mali interconnection. The new agreement supports the implementation of the National Program for Improving Access to Low-cost Electricity from 2016 to 2020, which aims to double the rate of access to electricity from 18.1% to 36% during that period. The Conakry Power Grid Rehabilitation and Extension Project has also received funding from the African Development Fund (ADF), while the African Development Bank (AfDB) Group has injected $11 million in the project. Posted by Emmanuel Agbenonwossi on April 4, 2019. Filed under Finance, News, Zoom. You can follow any responses to this entry through the RSS 2.0. Both comments and pings are currently closed.